HOW long does it take people to draw such obvious conclusions? Or, are they simply afraid of being labeled a “denier”? Debatable claim in the headline, but the German ‘energy transition’ has certainly hurt electricity consumers as prices have shot up in the last decade, with fortunes being wasted on vain attempts to tweak the climate system. 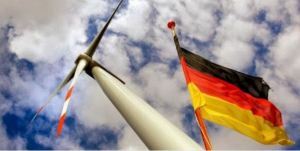 As Bonn this week hosts the COP23 climate talks, a new report claims that Germany’s Energiewende programme “has made things worse for the climate”, reports PEI. It says it has done this “by shutting down nuclear capacity and locking in dependency on coal for decades, despite hundreds of billions in investments and subsidy-schemes”. AS long as it feels good, and someone else pays for it, right? The Queensland Premier was at the Clare Solar Farm on Sunday promoting renewables jobs. Here are a few facts about the Clare Solar Farm. 1. The Clare Solar Farm once operational will employ “up to around 5 people” according to their website. 2. The Clare Solar Farm stands to get something like $340 million in subsidies over the next 13 years (paid through by higher power bills) for 5 jobs! That works out at $60 million a job.